Frank Gohlke. Measure of Emptiness. Steidl, Gottingen, Germany, 2019. 120 pp., 45 illustrations, 9x11¼". 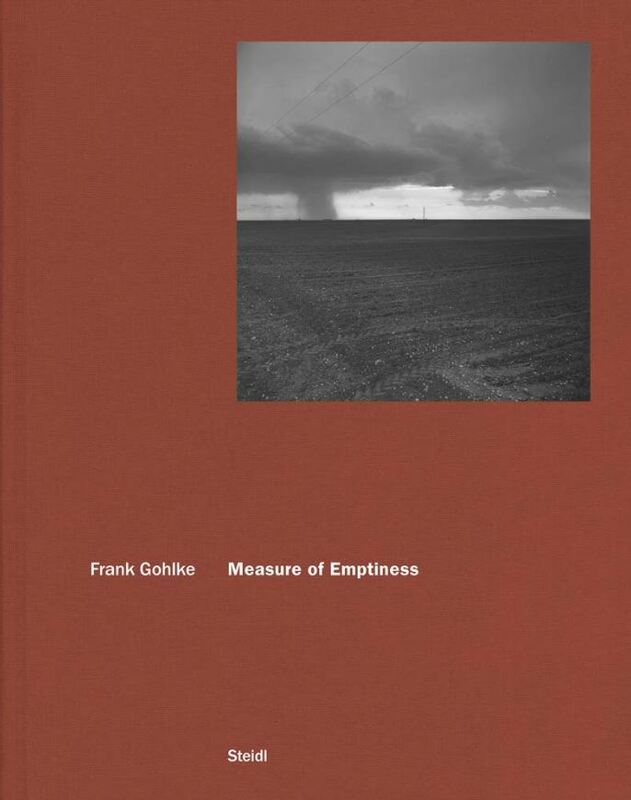 Originally published in 1992, Measure of Emptiness is a meditation on the vast spaces of the Great Plains, the heartland of American agricultural productivity and the centrality of the grain elevator to its social and symbolic life. In photographs made between 1972 and 1977, Tucson-based photographer Frank Gohlke (born 1942) traveled back and forth through the central tier of states from his then home in Minneapolis, Minnesota, to the Texas Panhandle, seeking an answer to the puzzle of the grain elevators' extraordinary power as architecture in a landscape whose primary dramas were in the sky. 'In the United States there is more space where nobody is than where anybody is,' said Gertrude Stein. The Great Plains are characterized by this spaciousness, and by the presence of the enormous grain elevators, rising above the steeples of churches to announce the presence of the town and to symbolize the lives of its inhabitants.